He became a first time father in June, as his wife Amal gave birth to twins. 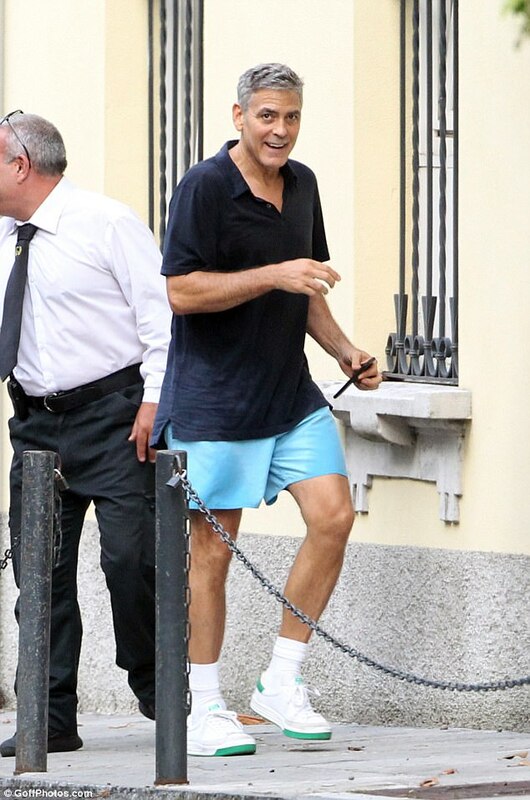 And George Clooney, 56, proved he is prepping to arise out of paternity leave in style as he was spotted enjoying a jog in his Lake Como, just a day before he is said to be headed to the Venice Film Festival alongside Jennifer Lawrence. 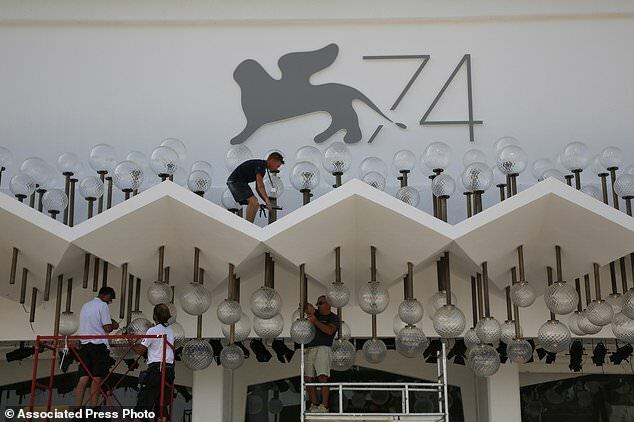 Preparations for the annual event are underway, ahead of its exciting opening day on Wednesday, where George and Jennifer are set to lead the glamour on the red carpet - with their recent films both competing for the coveted Golden Lion prize. George looked incredibly youthful as he hit the sleepy streets of the area, where he and his human rights lawyer wife split much of their time. As he shook the hand of a passerby, the father-of-two could not stop smiling, undoubtedly mentally preparing himself for the gruelling work ahead. 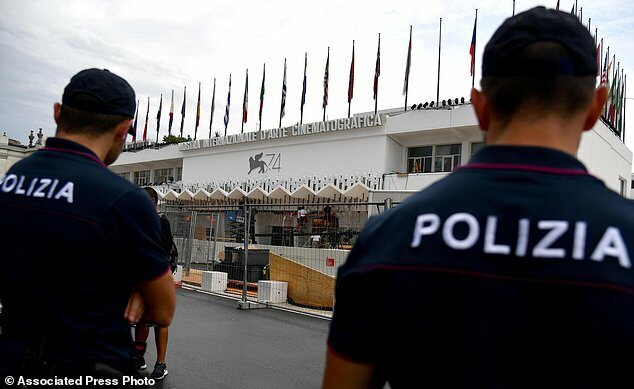 The Venice Film Festival is one of the biggest film events of the year, following its high-summer rival in Cannes and on Monday, workers in the stunning Italian city were seen making finishing touches to the event's decor. An array of A-List names are expected to attend this year's event ahead of their films' debuts - including George, Jennifer and Matt Damon. George's appearance comes as he is running for the festival's top prize - the Golden Lion - to include his latest directional venture, Suburbicon, which is due for release in October and stars Matt and Julianne Moore. 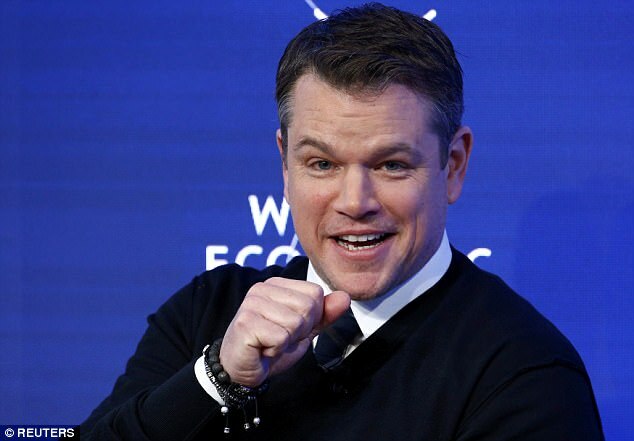 Matt, 46, is set to open this year's festival on Wednesday with the new Alexander Payne sci-fi flick Downsizing - which follows his character's attempts to minimise his problems, by shrinking himself. The festival is kicking off the fall cinema season with drama, glamour and a crop of new movies vying for attention, awards and acclaim. With its late-summer time slot, just ahead of rivals in Telluride and Toronto, the world's oldest cinema festival has become a key showcase for films hoping to dominate Hollywood's awards season. In recent years, Venice has been a launch-pad for Oscar winners including "Gravity, "Birdman," ''Spotlight" and "La La Land." 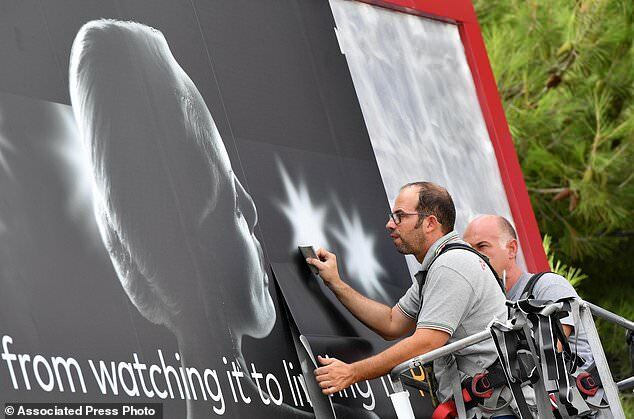 Getting to it:P The festival, which runs till September 9, takes place near George's beloved holiday home in Lake Como, where he'll be joined by his good friend Matt. Guillermo del Toro's fantastical "The Shape of Water"; Darren Aronofsky's secrecy-shrouded thriller "Mother! "; and Martin McDonagh's dark comedy "Three Billboards Outside Ebbing, Missouri." 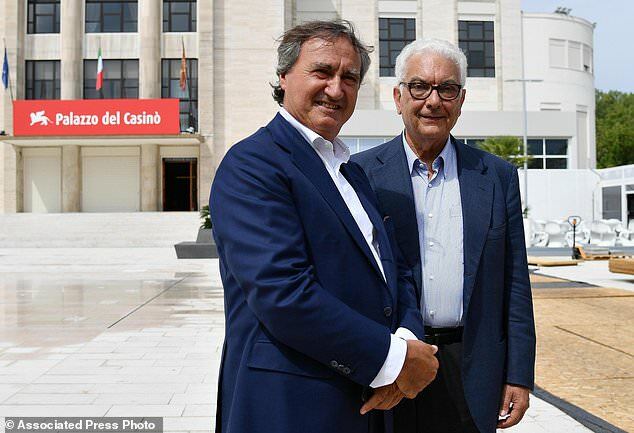 The festival, which runs till September 9, takes place near George's beloved holiday home in Lake Como, where he'll be joined by his good friend Matt. Matt, who stars in both "Suburbicon" and "Downsizing," which also features Kristen Wiig. Jennifer meanwhile is expected for the much-anticipated "Mother! ", which also stars Javier Bardem. The Spanish star should also be on hand alongside Penelope Cruz for the drug-lord biopic "Loving Pablo." An older generation of showbiz royalty will be well represented by stars including Judi Dench, Helen Mirren, Donald Sutherland and Michael Caine. Jane Fonda and Robert Redford star in the late-life romance "Our Souls at Night" and are being given lifetime-achievement awards by the festival. He's really working out.these days! Busy dad in great shape for a 56-year-old rich man! Think about Ben Affleck or Leo Dicaprio's belly! Is it between Oleandra e Margherita ? Yes! Yes! Yes! The fuzz is gone. He looks great. Lean, fit and very handsome. Isn't that the security guy he is shaking hands with? How many crap they write: but this is not a fan, never seen a fan with the radiomobile at the belt ... are we all stupid? Yep, that is a security guard the fail don't pay attention when they write articles. He looks great! And finally, finally THE FUZZ IS GONE!!!!! It's about time. He looks 10 years younger! Can't wait to see him in a tux on the red carpet. Just like the old George! That is the same guard in the pictures when they went to play tennis. Different day George has facial hair in the earlier pictures with Amal and their friends. A jog, really? Not in running shoes, but in tennis shoes. LizzyNY wrote: He looks great! And finally, finally THE FUZZ IS GONE!!!!! It's about time. He looks 10 years younger! Can't wait to see him in a tux on the red carpet. Just like the old George! He does look good though.....Happy Eyes. Hi it's me.......glad to see that you're still with us ! Of course he's wet, wet, wet. He's been out running......it happens ! !